It is time for us to hold the president and the people who work for him at the State Department and Department of Homeland Security accountable to admit the 45,000 refugees they promised.To do that, we need our representatives in Washington to join us in asking “Where are our families?” Our Members of Congress have the authority to ask why these agencies are on pace to admit less than half the number of refugees in their mandate. We need them to exercise that authority on our behalf. Help us welcome our families home. Last week, our very own Congressman Womack was appointed to become Chair of the House Budget Committee. That puts him in the perfect position to act on our behalf on this issue. He has repeatedly emphasized his support for our work and our refugee families, so we ask him to join us is asking: #WhereAreOurFamilies? 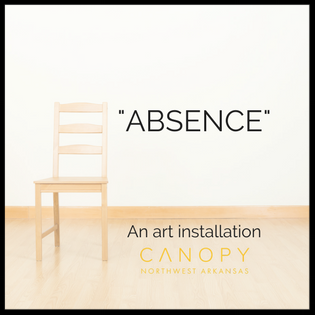 At 11 am on Tuesday, January 30, Canopy NWA will unveil a new temporary installation at St. Martin's Campus Center (814 W Maple St.) titled “Absence.” This installation symbolizes our community’s sorrow and frustration over efforts to hamper refugee admissions to the US—efforts that have kept 40 refugee men, women and children from being able to travel to their new home in Northwest Arkansas for over a year. Visitors to the installation will be prompted to join Canopy NWA in asking our elected representatives #WhereAreOurFamilies? Join us Tuesday, January 30 at 8:15 pm at St. Martin's (814 W Maple) in Fayetteville for a prayer vigil in solidarity with Dreamers, TPS holders, and refugees. In this moment of confusion over the status of the DACA program, the end of TPS for Salvadorans and other national groups, and direct attacks on the refugee admissions program, we invite our community to gather with us in prayer and solidarity for our immigrant neighbors. 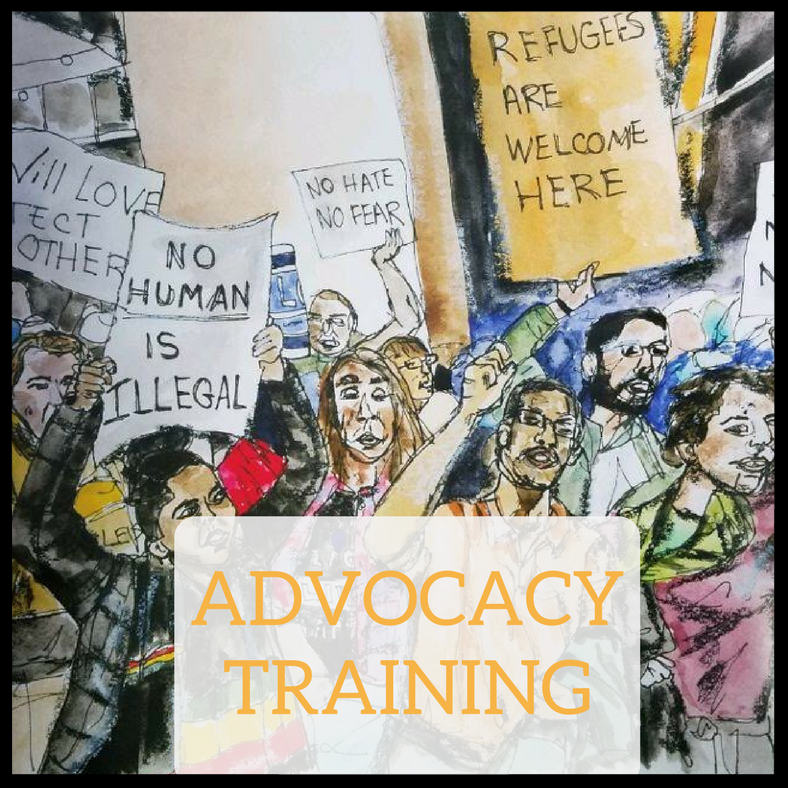 Why: Refugees need our collective voices now more than ever! At the national and local level, refugee resettlement is at an all-time low. Our representatives need to hear from our community, who has supported us every step of the way. They need to know that refugee resettlement is important to Northwest Arkansans. You'll learn about Canopy's mission, the nuts and bolts of refugee resettlement, and Canopy's current "ask". You'll learn how to craft your "ask" and what the most effective strategies are when it comes to influencing our representatives. Join us on a trip to Capitol Hill! Canopy is headed to Washington DC March 15-16 to meet with our representatives-- and we want you to come with us! Deadline to register is February 2 and space is limited.